NASHVILLE, Tenn. – Nachos, chicken wings and a brand new flat-screen TV are on the shopping list this week as folks stock up on party supplies before America’s favorite football game on Sunday. To make sure the television fits in your ride home, Nissan is issuing the ultimate big game guide for TV hunters. Some 44 million people are planning to host a game day gathering according to National Retail Foundation. The best time besides Black Friday to find deals on a flat-screen TV is right before the big game. 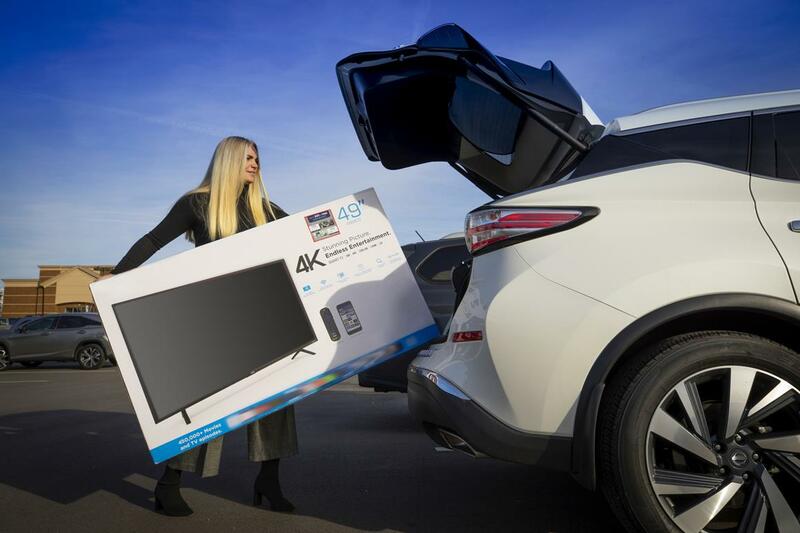 Nissan SUV and truck owners will be relieved to know that nearly all nameplates can transport a shiny, new 50-inch fully boxed TV, with the exception of the Nissan Kicks compact crossover, which can amply fit a 32-inch fully boxed flat screen. 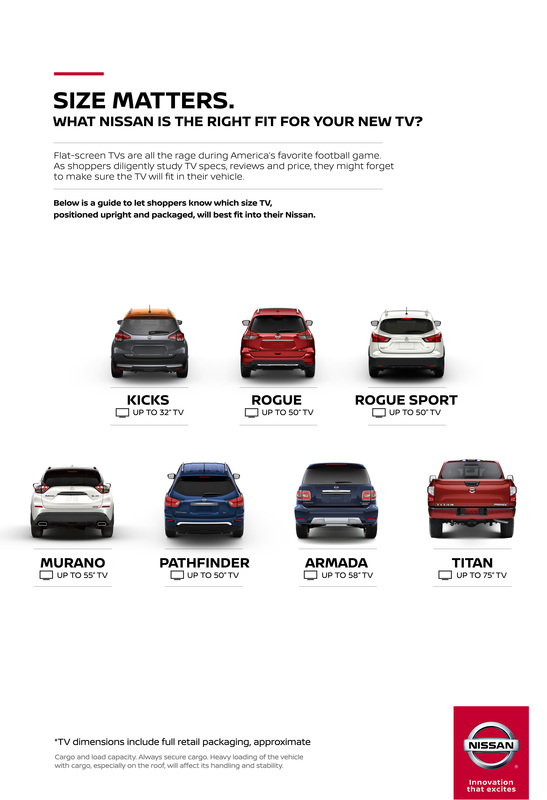 Shoppers can use the below guide – based on specifications of the most popular packaged TVs – to see how big of a screen will fit in a Nissan, crossover, SUV or truck in plenty of time for kickoff. Electronics experts recommend positioning a new flat-screen TV upright in a vehicle to prevent damage. *TV dimensions include full retail packaging and are approximate. Cargo and load capacity limited by weight and distribution. Always secure cargo. Heavy loading of the vehicle with cargo, especially on the roof, will affect the handling and stability of the vehicle.